Conveniently located 1st floor one bedroom, one bath condo in popular Riverbend Condominiums at intersection of Cleveland Street and Faris Road. Spacious living room with separate dining room and updated kitchen. All appliances, including washer and dryer remain. HVAC replaced in 2016. Master bedroom with large walk-in closet, renovated bath with walk-in shower. Good storage. Screened porch overlooking landscaped common area. Great gated community with plenty of amenities - 2 pools, clubhouse, tennis court and exercise area. 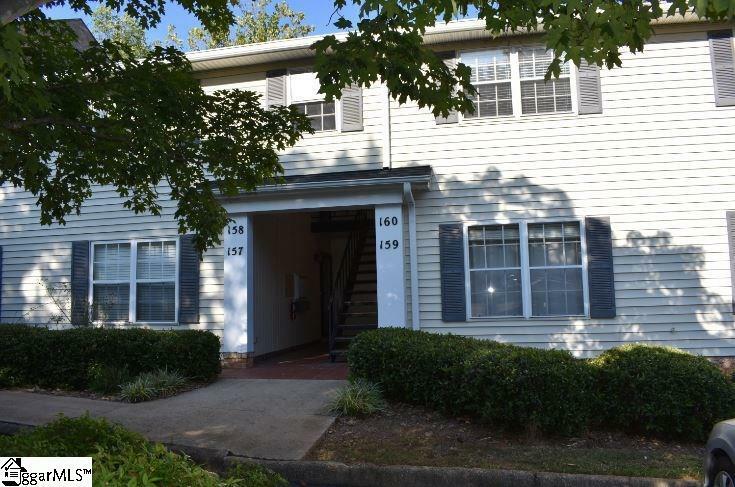 Unbeatable location on Swamp Rabbit Trail, walkable to YMCA, Cleveland Park and Greenville Tech, easy access to downtown and nearby shopping. Listing provided courtesy of Jane Mccutcheon of Coldwell Banker Caine/Williams.